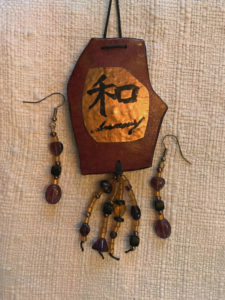 Organically shaped gourd shards are sanded and stained with iridescent inks. 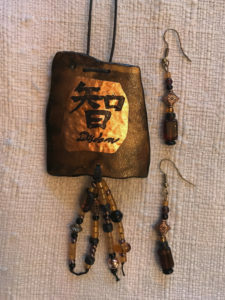 Copper, silver or gold metal embossed designs are applied, then beads are added to enhance the sparkly glam. 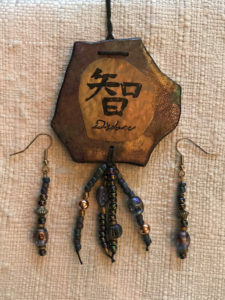 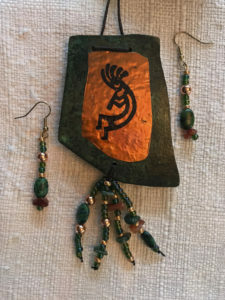 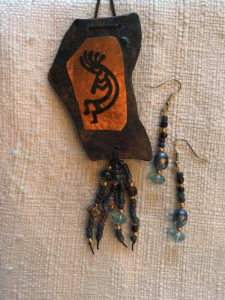 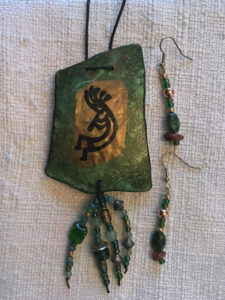 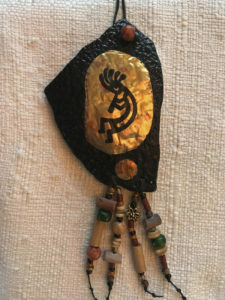 Matching earrings complement this unique and light weight art for all day wearing. 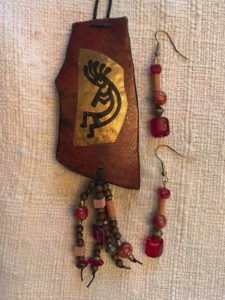 36 inch linen cord is included. 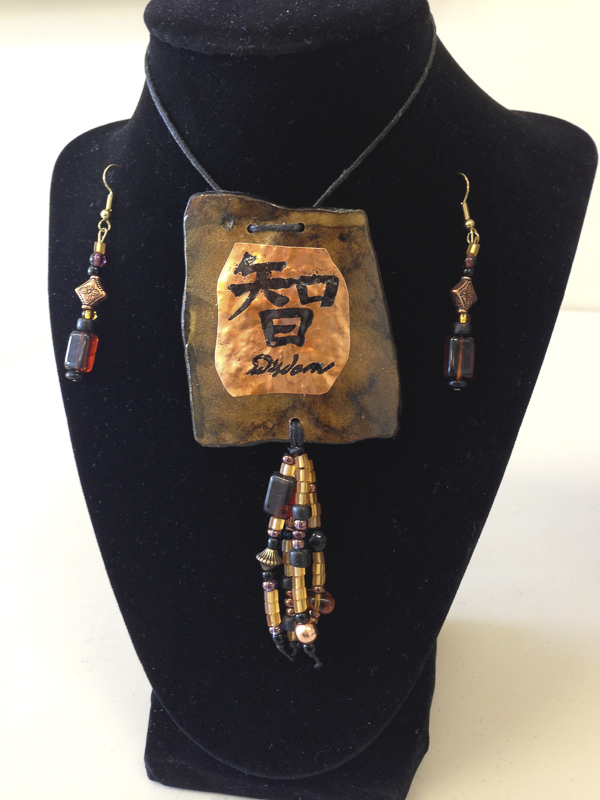 Customers rave about the compliments they receive while wearing these creations.